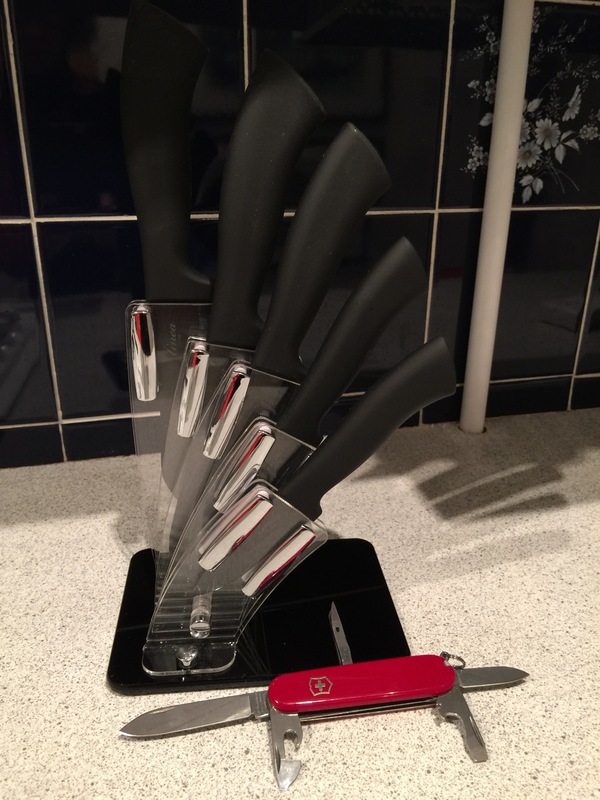 Ever since Worth got his new Victorinox knife at the start of the year he has demonstrated an obsession with the knife that has driven Gates potty. Finally, her patience gave up. Placing the knife next to her new collection of knives,she pronounced with undisguised glee, “That’s not a knife, these are what you call knives!” Her voice positively resonated with triumph as she made her pronouncement!